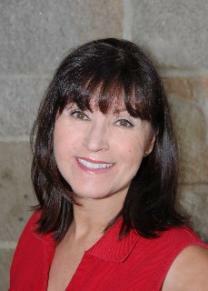 Susan Naber has been a Certified Personal Trainer and Nutritionist for 25 years. She is certified through multiple organizations including the American Council on Exercise ( A.C.E ) and is a member of the American College of Sports Medicine. She is also a Certified Yoga Instructor and Certified in C.P.R. and First Aid. She works with clients in their own home and brings a variety of fitness equipment with her. She has published numerous fitness articles, given lectures on health and nutrition, and has taught many strength training classes for gyms and schools. Susan has worked with male and female clients from ages 11 to 92, and she has trained people of all levels of fitness from athletes to those who have never worked out . Her clients also include those who are recovering from injuries or surgery, pre to post natal, and people who want to perform better at a specific sport. Susan is enthusiastic about your well being. She will listen to you, help you set goals, and devise and implement a customized training program to help you succeed. Susan has a vast knowledge of various exercises, tools, and techniques that can make your workout both fun and effective. She also does comprehensive fitness testing including tests for body composition, cardiovascular fitness, muscle strength, muscular endurance, core strength, balance, and flexibility. She is especially proficient in training people with back issues.